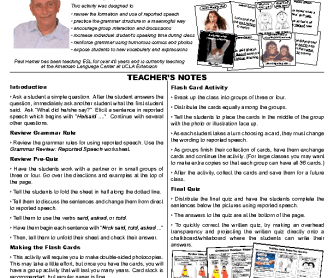 It is a very useful material about how to revise reported speech. 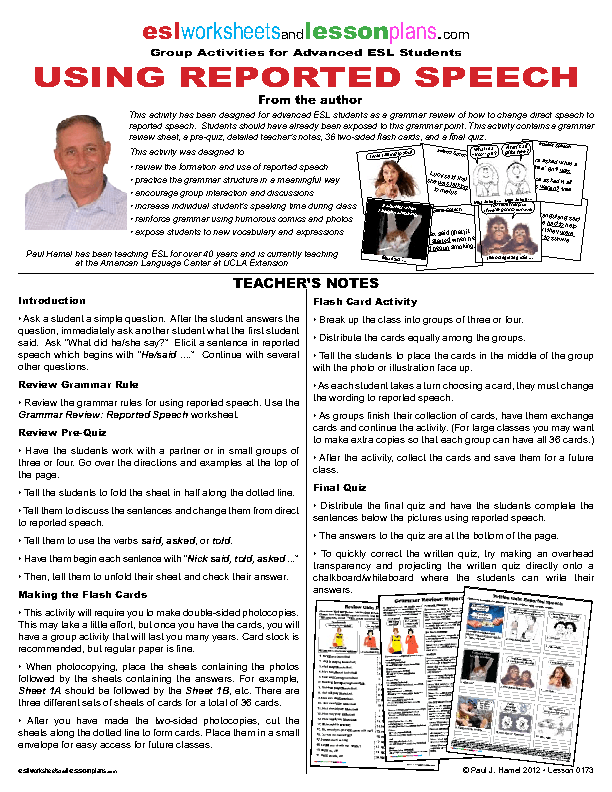 It contains a sheet with theory, a sheet with exercises, one with tranformations and some flash cards with funny sentences for using reported speech by the students. It is a very practical material.